Today's project is a birthday card that will go out in tomorrow's mail and I was inspired by this month's sketch @ Verve. I am also entering it @ Crafty Hazelnut's Patterned Paper Challenge for March, @ Always Happy Birthday for "Anything Goes: Pattern Paper" @ Tic-Tac-Toe for the bottom horizontal row: "Polka Dots - Die Cuts - Happy" and @ Creative Knockouts for "Die-Cuts/Punches". 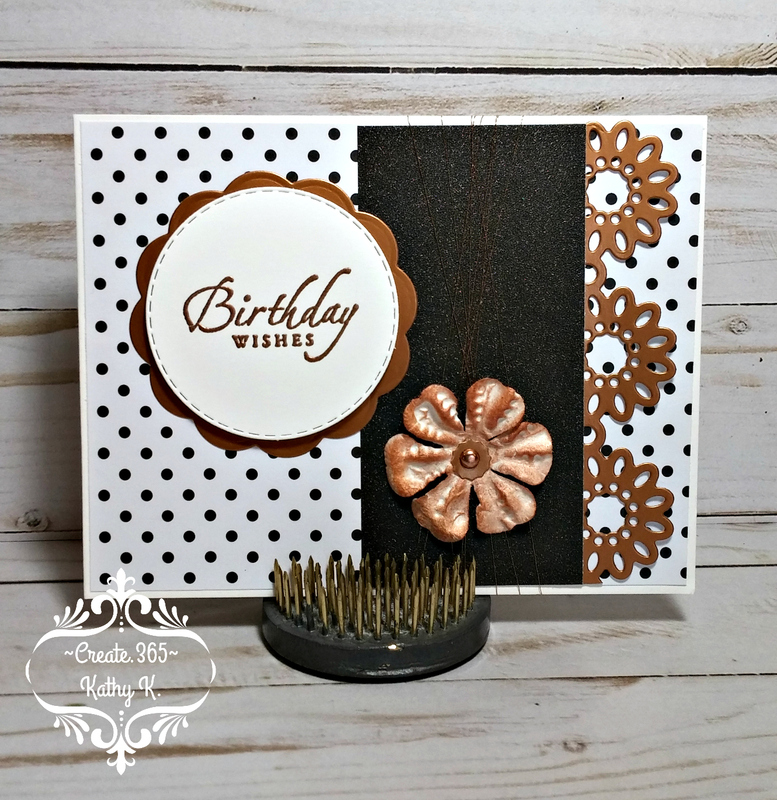 This card is a fun combo of black, white and a coppery rose gold. 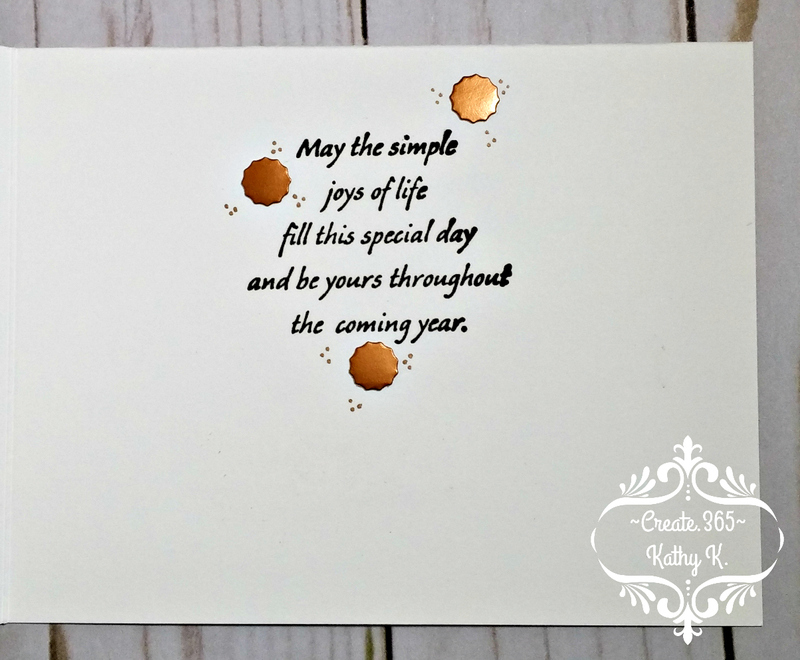 I've used patterned paper, glitter paper, metallic cardstock, several die cuts, paper flowers, thread and copper embossing powder. 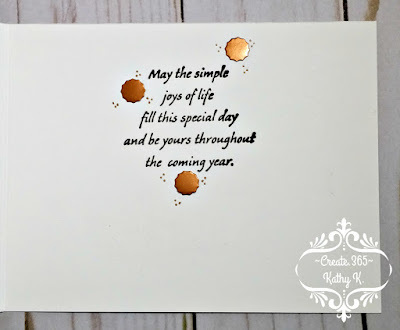 Both front and inside sentiments are from retired Stampin' Up stamp sets. The "Birthday Wishes" on the front was stamped using Versamark and embossed with metallic copper embossing powder. 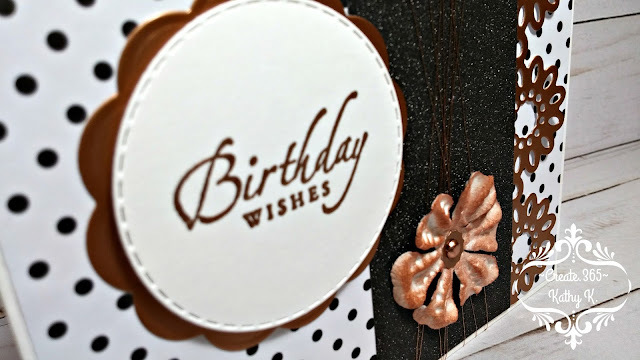 I custom colored the white paper flower using a Cosmic Copper ink pad and adhered it using a mini copper brad. Such a classy card! So glad you could join us for Viva la Verve! 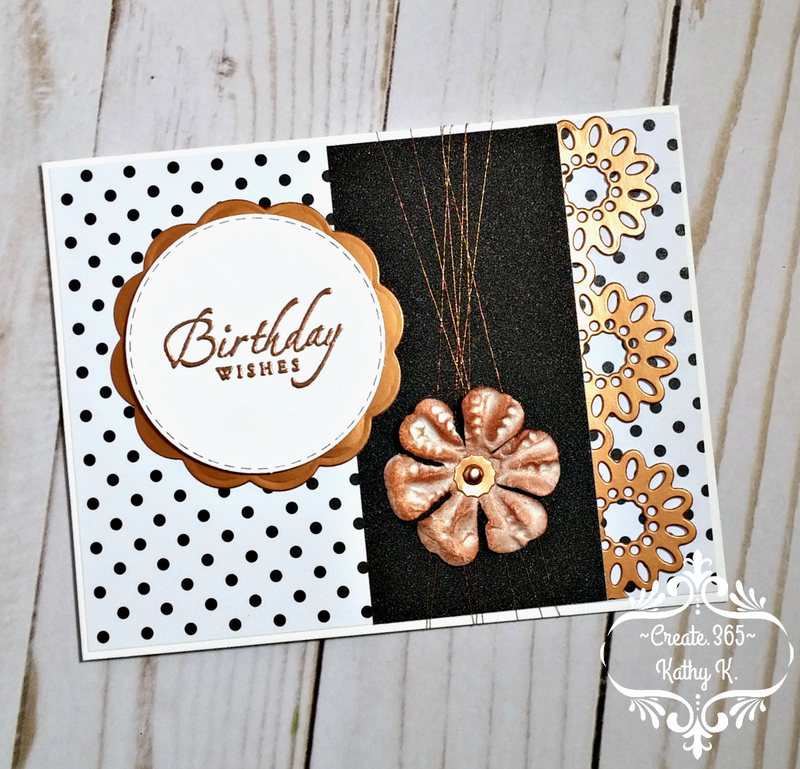 I love your little peeking out flowers and yummy metallics! Thank you for playing and sharing at Tic Tac Toe Challenge! Stunning card. Thanks for joining us at CHNC Patterned Paper Challenge this month.